Please note: UGG products may contain the new UGGpure 100% wool instead of shearling, or contain 100% shearling fur, or a mix of shearling and UGGpure 100% wool. Because supply will vary, please let us choose. We apologize for any inconvenience. 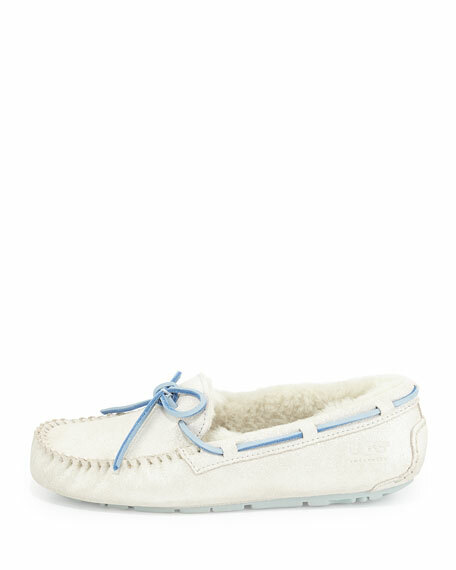 UGG "I Do!" slipper in shimmery, water-resistant suede. 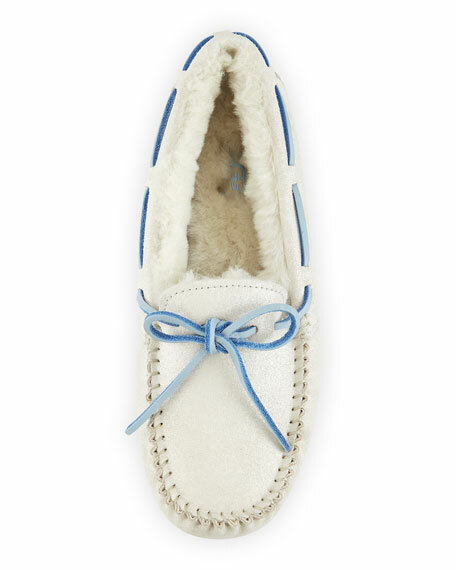 Natural lamb shearling (Australia) fur or UGGpure 100% wool lining. "Something blue" 360-degree suede lacing. Baby blue leather lace and stitched-down bow detail. For in-store inquiries, use sku #190105.